Who Does Retail Right? Here Are 4 Of Our Favorites. Yesterday I was on a conference call of the standard variety. A couple of people called in several minutes late because the dial-in didn’t work, so those of us on the call were eavesdropping on small talk by faceless voices of people we had not yet met about the weather and traffic in a far off city. Those on the call had assembled, in part, to opine about the fascinating topic of the future of retail, but after five minutes I wouldn’t describe the conversation in similar terms. Until someone asked, “Who does retail right?” The question was so open ended and so devoid of any hint from the inquirer about what answer they were looking for, that it really sparked my imagination. It has been ringing in my ears ever since. The fact is, the answer depends on who you are. Through what lens are you looking at retail? Are you a customer? A fan? An employee? A shareholder? A technologist? A marketer? An innovator? Brands should be considering all these points of view. With this in mind, the following are the common elements of a great retail experience that holds true through all of those lenses. 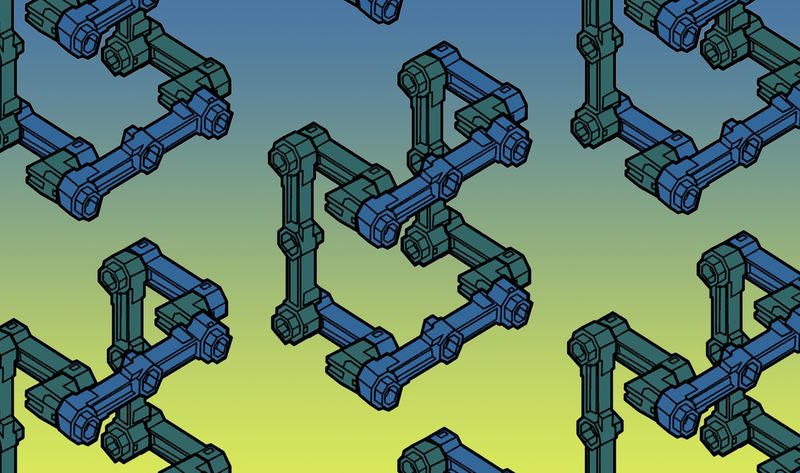 Structural Design. Being someone who believes that elegant physical design can impact everything from the most mundane task to the most meaningful emotional experience, this is perhaps the longest sustained feeling of getting retail right, even though it can be subtle. The layout of the parking lot, the weight of the door, the lighting installations, the height of the shelving units, line of sight considerations, the dissolving of the traditional cash wrap: These are all design choices that impact a customer’s physical experience, and they can set up a retail brand with long-lasting success. Customer Service. Customers like to feel that they are being treated well. Some like to know that they aren’t alone. Having a staff that knows the difference, while also being able to understand a customer’s pace, intent, and desire for interaction is critical for the best retail experiences. Lifestyle Alignment. The best brands transcend their core products and pull in elements from their core customers’ lives to enhance and further ingrain the brand into the user’s psyche. The Yeti headquarters in Austin is a great example. It’s a retail store and a bar that hosts live music. Digital-physical bridge. Creating a seamless experience online and in-store is the ever-elusive goal of retail. Modern Loyalty programs and first-class CRM initiatives have made huge strides toward this retail nirvana. Powered by real-time inventory management systems, POS, and mobile apps, retailers are also able to utilize digitally driven concepts like buy online pick up at store, Buy in store ship to home, and Buy online deliver from store. Nordstrom.This brand has capitalized on structural design for everything from their mobile POS system to clear lines of sight inside the store. The design is so thoughtful that it has paved the way for a pleasurable experience for Consultative Selling and a popular loyalty program. TreeHouse. 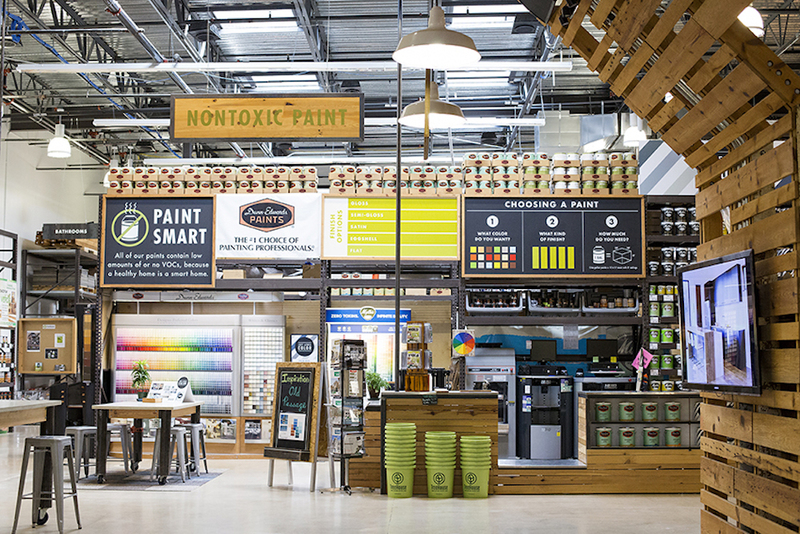 An Austin original, TreeHouse is often billed as the Whole Foods of home improvement. One of their core tenets is customer service for the life of the sale, from selling clear through to how-tos hosted at their store. These free classes help customers understand what TreeHouse sells and how they can use them. From composting to beekeeping classes, they do a fantastic job of understanding the complete view of their core customer set. Onnit. Starting as an online, all-natural supplement company, Onnit’s mission of “Total Human Optimization” comes to life at their world headquarters in Austin. They have a physical retail space to sell hemp protein, cordyceps mushrooms, and t-shirts made with bamboo, but behind the store is a world-class fitness studio. Steel mace and kettlebell exercise, Jiu Jitsu, infrared saunas, and cryotherapy are part of the experience. By adding the workout programming, Onnit is showing how their core supplement products are only the start to delivering on their brand promise. Amazon. Perhaps this one is a surprise. Not having been in any of the Amazon retail locations (six are open and ten are planned at the time of this writing), I can only speak to the one feature I’ve seen images of. They are pulling the digital elements they’ve had so much success with online into their physical environments. “If you like X, then you’ll love Y,” reads one sign. “Books Kindle Readers Finish in 3 days or Less,” reads another. Still others read things like, “Books with More Than 10,000 Reviews on Amazon.com” (complete with star ratings). Taking algorithms that have been regulated to digital and pulling them into a physical space is a bridge between digital and physical that I have not seen before now. Will it work? Maybe. Is it interesting? Definitely. Brandon has spent more than a decade identifying and applying emerging technologies across a wide range of projects and industries. He sees innovation as an accelerant to positively impact the intersection of people and technology while creating measurable value for clients. At T3, Brandon has been a catalyst for innovation efforts in AI, AR/VR, CRM and loyalty, supporting brands such as UPS, Allstate, Capital One, Pizza Hut and The Home Depot. With an MBA in digital media and a career in marketing, Brandon works to capitalize on new technologies by rapidly prototyping and testing before scaling programs to help clients achieve their goals. Prior to joining T3, he ran his own marketing technology company and served in strategy and marketing roles in venture capital, MarTech and global music distribution. A guitar player by professional experience and "drummer by heart," Brandon's personal quest is finding apparel made in the blackest material in existence. 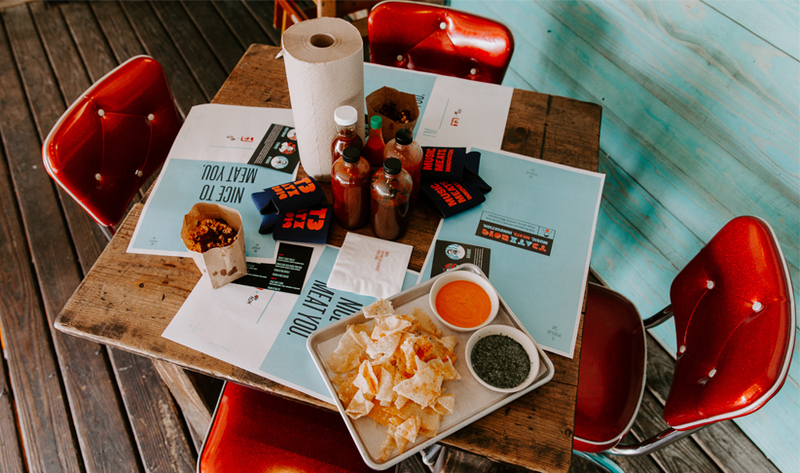 T3 hosted a "Meat & Greet" panel featuring T3 President Ben Gaddis, Franklin Barbecue founder Aaron Franklin and Uchi Restaurant/Uchiko co-founder Tyson Cole, exploring the intersection of great food and innovative experiences. The two James Beard-winning chefs partnered last year to launch Loro, an Asian smokehouse and bar to explore a new genre together. SXSW has come and gone, Austin traffic is even more manageable than usual (great timing, UT Spring Break! ), and I can stop asking myself if everything is a brand activation. 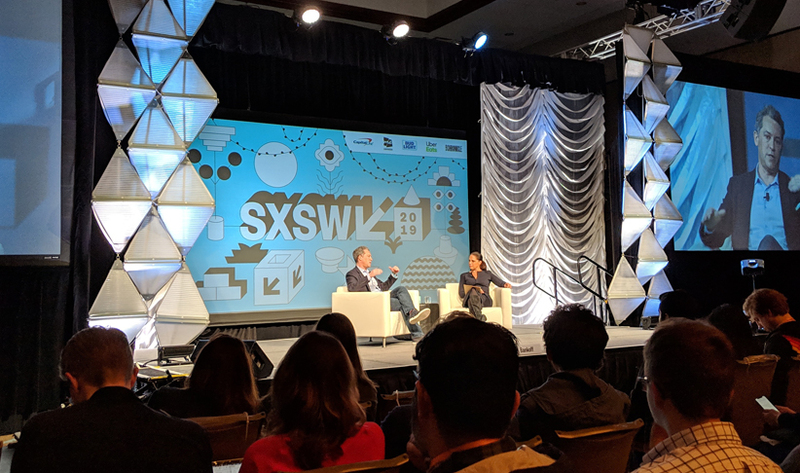 Now that the dust has settled, it’s time to reflect on a few key themes that surfaced during SXSW Interactive. The amazing thing about design systems is that the work continues to evolve and mature. It’s a living library that anyone can pick up and use to create cohesive products across all touchpoints. No matter how big or small the robot, app or site, having this kind of a playbook truly makes building products…a snap!